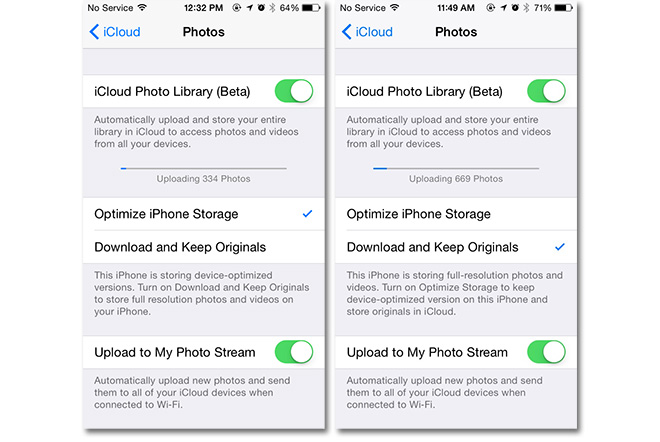 Apple on Saturday launched a beta version of iCloud Photos for iCloud.com users, activating the photo and video storage and syncing service planned to officially roll out on Monday with the debut of iOS 8.1. 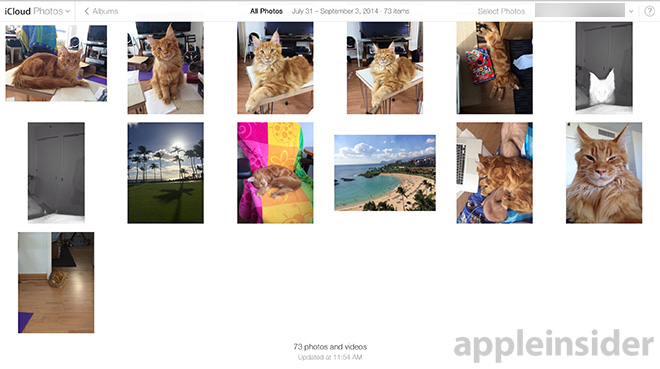 With today's iCloud Photos beta release, it appears that Apple has also opened iCloud Photo Library access to all developers currently running the upcoming iOS 8.1 maintenance update on their devices. Prior to the iCloud Photos beta rollout, only a random sampling of testers were granted access to the service. With iCloud Photos —labeled as iCloud Photo Library on iOS devices —users will be able to automatically upload photos and video from their Camera Roll to the cloud for storage and cross-device syncing. For example, if a user snaps a picture of a cat, the image will be pushed to the cloud, where it can be viewed from other devices signed in to that iCloud account or those who have been granted access through iCloud Photo Sharing. The feature is akin to Photo Stream, except with support for full-resolution content and syncing of any edits made to the original image, which can be viewed through iCloud.com by date in Moments or as a stream in Albums. As with Photo Stream, other iOS devices can download photos from the iCloud Photo Library folder for local storage. On the iOS side, Apple lets users choose whether to download full-resolution images, or save space by storing only optimized (compressed) versions locally. The number of photos, videos, panoramas and other Camera Roll content users can keep in iCloud Photos is based on their iCloud storage tier. Apple introduced a new pricing structure with iOS 8, starting with 5GB of free storage, with upgrades to 20GB for 99 cents per month, 200GB for $3.99 per month, 500GB for $9.99 per month or 1TB for $19.99 per month. iCloud Photos and access to the iCloud Photo Library service is expected to roll out with iOS 8.1, while beta testers can try it out now by visiting the iCloud beta website.